A study released earlier this month by the National Research Council (NRC) says that even the most moderate trends in climate change present significant challenges to the Navy, Marine Corps, and Coast Guard in the coming years and decades. The report report was commissioned in 2008 by Admiral Gary Roughead, Chief of Naval Operations, to provide the Navy and other military units clear, non-politicized analysis of the risks to national and global security from climate change. “The study finds that contrary to popular rhetoric, greater uncertainty about the impacts of climate change means greater economic risk, not less,” Backus writes. While the Sandia Labs report looks at economic risk and the NRC at operational and national security risk, they both point to principals of risk analysis as an ideal basis for planning for climate change. 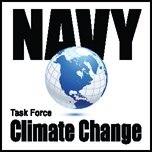 “This report represents the most detailed and analytical look at the impact of climate change on naval forces to date,” said Rear Admiral David Titley, referring to the NRC study. “It provides superb guidance for long-term strategic planning and investment considerations.” Admiral Titley is the Navy’s senior oceanographer and director of Task Force Climate Change. 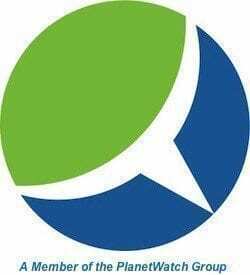 A primary recommendation of the NRC report is for the Navy to continue its strong advocacy for Congressional ratification of the United Nations Convention on the Law of the Sea. Even though the U.S. helped draft the treaty and signed the Agreement on Implementation in 1994, Congress has yet to ratify it. The Law of the Sea Treaty is important due to opening of Arctic waterways as sea ice continues its decline in the region. As nations vie for resources, minerals and operational access to northern international waters, territorial conflict and challenges are expected to arise as an early consequence of climate change. 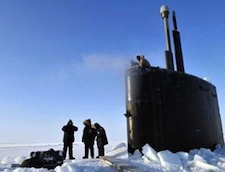 “[the report] identifies the Arctic as a place where recent climate change may have the most immediate and obvious implications for maritime operations,” said Bob Freeman of the Office of the Oceanographer of the Navy Public Affairs. No single nation can be expected to fully respond to these impacts, so the NRC study advises working to enhance and improve key partnerships with “long-standing allies and non-traditional partners alike.” The report also recommends strengthening the NATO alliance. “…developing climate change response capabilities within the NATO alliance could strengthen global climate change response capabilities and the alliance itself,” suggests the report. Sea level rise is obviously a concern for the Navy (and for everyone else), and the report urges Navy leadership to diligently assess the risks of rising seas to Naval facilities and consider vulnerabilities from sea level rise to newly planned or renovated infrastructure. The NRC study also calls for increased investment in research and development focusing on a global ocean observing network. Also important is the development of climate models that incorporate data from land, ocean, atmosphere, and ice. Such models will provide the most reliable data and help make climate change risk assessment and planning as reliable as possible. “It’s all about being ready in tomorrow’s world,” summarized Admiral Titley.